Maria AudinThe remains of a World War II-era crash boat found in the Gowanus Canal. The Gowanus Canal, one of the most polluted bodies of water in the country, is filled with toxic sewage, bacteria, and heavy metals. The EPA has created a plan for cleaning up the canal, starting with a pilot study in Brooklyn’s Fourth Street Turning Basin. Workers cleaning the turning basin recently found relics that go decades back, including a World War II-era “crash boat” and large wooden textile spools from the early 1900s. The Gowanus Canal is one of the dirtiest bodies of water in the United States. The canal has become more and more polluted by runoff and dumping over the past few decades. Raw sewage tanks overflow into it, giant clumps of bacteria have been found at the bottom of the canal, and officials have detected amounts of heavy metals – like arsenic – that are 60 times higher than healthy exposure levels. The EPA has committed to cleaning the canal in a project that’s expected to cost more than $US500 million. 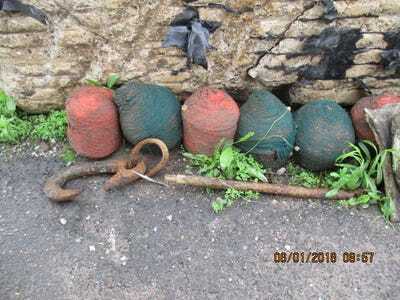 During the the cleanup, workers recently discovered several relics that go back to Brooklyn’s industrial past, including a “crash boat” from World War II, wagon wheels, and large wooden textile spools. 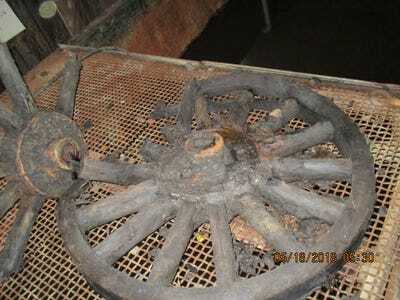 Maria AudinThe remains of a wagon wheel discovered in Brooklyn’s Fourth Street Turning Basin. 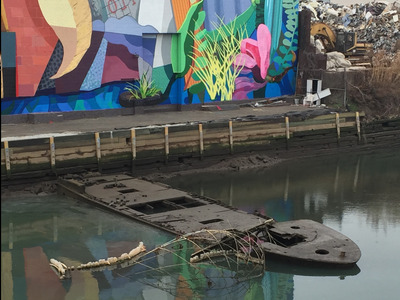 The relics were found during a pilot study underway in the Fourth Street Turning Basin, a 1.8-mile section of the Gowanus. Contractors will soon move on to cleaning up the rest of the canal. The 63-foot-long crash boat is the largest discovery. Built in Miami during World War II, the boat was used to rescue pilots from downed aeroplanes, according to the New York Post. Since then, the boat has served as a Fire Island Ferry, a houseboat in the Bronx, and a floating art space in Brooklyn. It was transformed into an LGBT party boat after a group purchased it in 2006, but it is unclear how the boat later ended up at the bottom of the canal. Researchers wrote in a report to the EPA that the boat does not have much historical value as a relic because it has undergone several renovations over the past seven decades. Workers have also found large spools and skeins that seem to have come from Zobel Colour Works, an early 20th-century textile and dye manufacturer, according to the Post. Maria AudinYarn found at the bottom of the Fourth Street Turning Basin in New York City. Archaeologists hired to examine the relics say cleaning the objects can be challenging. Archaeologist Jonathan Bream from Archaeology & Historic Resource Services has to wear a Tyvek suit and protective gear as he washes the sewage off the discoveries. Bream said a ceramic kettle was the lone personal object discovered in the turning basin. Maria AudinA ceramic kettle, the only personal item discovered by workers in the Gowanus Canal. 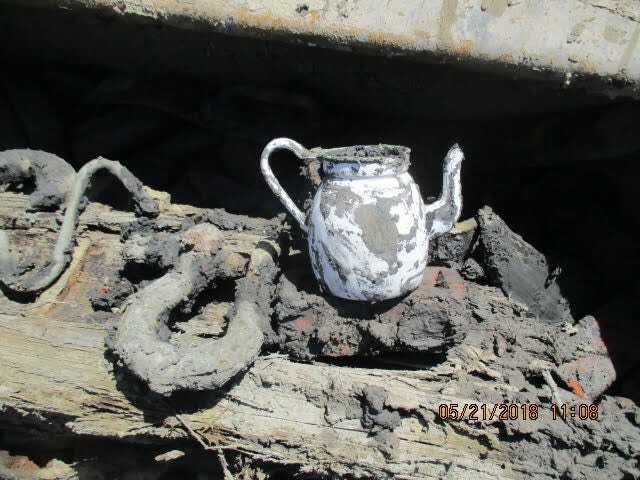 The Fourth Street Turning Basin was built in the 1860s and 1870s, so researchers do not expect to find objects from the oldest parts of Brooklyn’s history there. But the Gowanus as a whole played an important role in the American Revolution – during the Battle of Brooklyn, an American regiment retreated across the former swamp after the British Army gained the upper hand – so it is possible the archaeologists will find Revolutionary War relics in other parts. As the EPA finishes the turning basin pilot study, workers will put layers of sand, clay, and carbon-absorbing materials to form a clean bottom in that part of the canal. And Bream is working to figure out if any of the other discoveries have historical value; if they do, the EPA and New York City will need to determine what to do next. The EPA will keep dredging the rest of the canal, capping it with sand and clay, and cement will be added to sediment that contains mobile liquid tar to keep the tar from moving. Full-scale dredging is expected to begin in 2020.